Small City Himeji – A Wonderful Getaway! The city of Himeji is located in the Hyogo Prefecture of Japan. This city is fairly small when compared to cities like Kyoto and Tokyo, so it makes for a calmer, quieter getaway! Even though the city itself if not as large and sprawling as some of Japan’s most famous cities, Himeji still has plenty to offer all types of travelers. Whether you have a deep interest in the history of Japan or just want to visit a different type of city on your vacation, Himeji is a great travel destination. Himeji was established as a castle town many long years ago. This city was also the capital of Himeji Prefecture before that prefecture was merged into Hyogo in 1876. The city of Himeji was considered as a possible relocation for the capital of Japan after the 1923 Kanto earthquake, but this move never took place. In fact, Himeji saw its own share of destruction. Typhoons and the 1995 Great Hanshin earthquake all shook Himeji but did not destroy it. During World War II, Himeji was the target of over 700 tons of bombs; this destroyed the majority of the city. Himeji has since recovered and is able to share its culture and past with the world. Himeji Castle has remained mostly intact since 1346, despite its exposure to the bombs of World War II and natural disasters. This castle is considered one of the best surviving examples of feudal Japanese castle architecture. Visitors today can explore the castle grounds that house 83 buildings as well as walk through the castle itself. Himeji Castle has seen several expansions and has been extensively remodeled throughout its long life. This castle is also the largest and most visited castle in Japan. Its history shows that it passed through the hands of several samurai, including the famous Toyotomi Hideyoshi. This temple may look familiar to anyone who has seen The Last Samurai. The Western-made movie, starring Tom Cruise, actually filmed some of its scenes at this Buddhist temple. 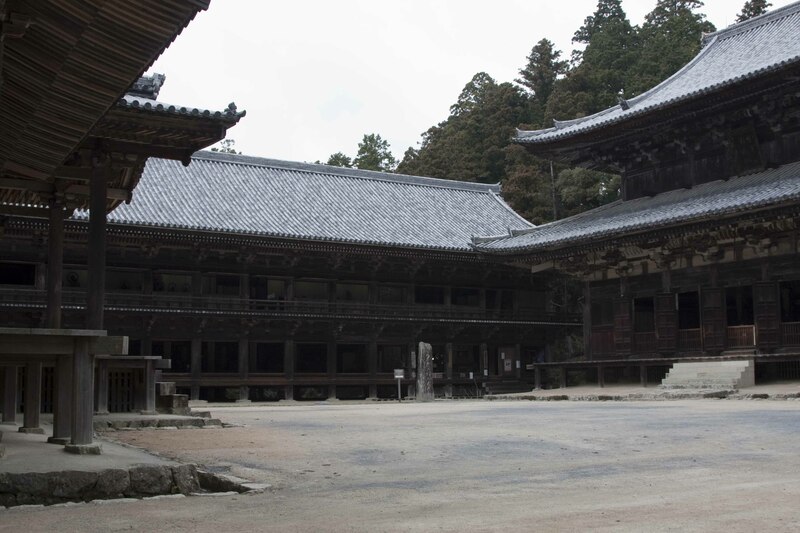 Engyo-ji was established in 966 and is located at the top of Mt. Shosha. The temple complex has multiple buildings that tourists and pilgrims can visit. Several of the buildings are considered very important to the culture of Japan. Although the name may be a bit misleading, Himeji Central Park is actually a combination between a safari park and an amusement park. In the safari section, visitors can see many types of animals including: cheetahs, lions, tigers, giraffes, hippos, elephants, bison, zebras, monkeys, bears, birds, and kangaroos. The park has both walking tours and driving tours. There is also a sky safari that will let visitors view the animals from above! The amusement park has theme rides, a swimming pool area, and an ice rink. Keep in mind that the pool is only open in the summer and the ice rink is only open in the winter. There are several gardens in Himeji. One of them is located right next to Himeji castle. This garden is made up of nine sections and was built to celebrate the 100th anniversary of Himeji’s establishment as a municipality. This garden was established on top of ground where there were once samurai houses. Another beautiful garden is the Himeji City Tegarayama Botanical Garden. This garden is located in Tegarayama Central Park. Although this museum has little to do with the actual history of the prefecture, if you are interested in Japanese history, consider stopping by. The museum has displays of festivals, replicas of castles, and an art gallery. Entry is cheap but may cost more during special events. Himeji has a wide selection of foods and levels of dining. You can eat casually in Western or Japanese themed fast food places or dine a bit formally at some of the nicer restaurants. Many foreigners really enjoy Koba and More. This ramen shop boasts a unique dish: milk ramen. Vegetarians will really enjoy Sakura-saku, a restaurant with many different types of vegetarian friendly food. If you want something a little more familiar, there is a McDonald’s (open twenty-four hours a day) in the Himeji JR station as well as a Subway restaurant on a street nearby. For bars that are great for foreigners, check out Nobu. This bar is small but has English speaking staff. Hosanna Irish Pub is also a common spot for foreigners. Himeji, because it is smaller, does not have as many clubs and activities for after-hours. There are, however, several popular clubs that both locals and foreigners flock to. Check out Club Roxy Himeji if you are interested in nightlife. This club has good drink specials, a mix of old and new music, and free admission for women (before 11pm). The club is a short walk from the Himeji JR station.If you have a hard time finding nightlife in Himeji, remember that bigger cities such as Kobe and Osaka are very close by. You can get to either of those cities easily and enjoy the multitude of clubs and bars there. 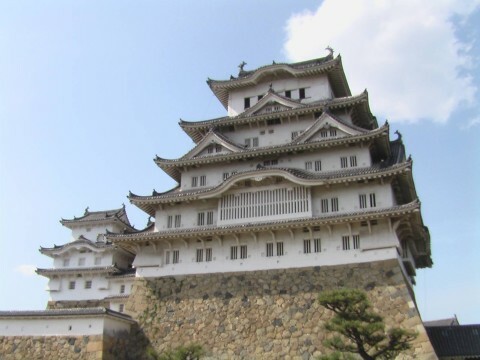 Himeji is a wonderful place to visit because of its history, culture, and atmosphere. The city is big, but not too big. If you have traveled to some of the larger cities in Japan, you will appreciate the less crowded city (that still has green spaces!) of Himeji. The weather is similar to that of the rest of Honshu, so the spring months are ideal for traveling to Himeji. Depending on what time of year you visit Himeji, you may be able to participate in one of the many festivals they have. No matter what your interests in Japan are, you are sure to enjoy your time in this beautiful, historical city.